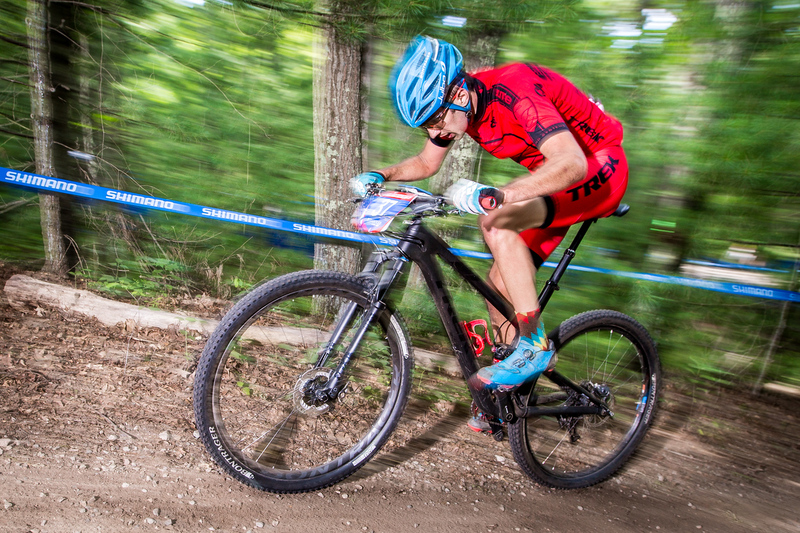 It’s no secret that in an XC race, the most time is made up on the uphill sections. So what happens when the climbs start to get nasty? Steep, loose, rooty, and rocky climbs can be the bane of a mountain biker’s existence. But it doesn’t have to be. When I first started riding, I was too young to drive and in order to ride during the week, I would either ride in the woods behind my house or the hiking trail network up the street from my house. I lived on a hill in a section of my town known by the locals as “stone town”. I also grew up riding with some of the legends of NJ mountain biking like Dave VW and Jeff Lenosky. Over the years my skills developed, and I would say that technical climbing is my greatest skill on a mountain bike to date. Here are the 5 biggest points I’ve discovered from watching Dave and riding on my local trails. Gearing – “What gear should I be in?” was a question that I received every time I stopped the group to look at a technical section on a pre-ride. The answer is, it depends. Obviously, you don’t want to be chugging along and pedaling a cadence of 50rpm. That’s bad for your knees and increases your chances of stalling .On the other side of the spectrum, you don’t want to be spinning like a madman/woman. I distinctly remember when I was racing on the local circuits following people and watching them spin a very high cadence and then get hung up on a technical climb. This can be caused by a variety of issues. The small gear did not produce the speed to carry momentum over obstacles, the ground was loose so pedaling a small gear caused the rear wheel to spin out, or pedaling a high cadence increased heartrate to the point the rider was gassed and in oxygen debt when approaching an obstacle. Choose something in the middle and you will notice a huge improvement. Think the gear that you could perform a moderately paced wheelie at. If pushing a bigger gear is difficult for you then try incorporating some light gym work into your training, even if just body weight exercises to gain that little bit of strength to push a slightly larger gear up that climb. Line Choice – Obviously this will depend on the climb and the obstacles on it. If the climb is rocky, it is usually better to get up on top of the rocks than it is to stay in the rocks and try to negotiate them by avoiding them. If the climb has a lot of roots, the best line would be the line that allowed you to hit them as straight on as possible. Hitting roots at an angle is inconsistent when dry and sometimes impossible when wet. If there are tight switchbacks, you want to spend more effort in the set up than the switchback itself. Garbage in, Garbage out, so pay very close attention to where your wheels are while riding into the turn. Try to be as close to the outer edge of the trail as you can be to the trail. At the apex, try to cut the turn as tight as you can. In a perfect world, you start outside, and finish inside. Most of the time with tighter switchbacks though, you will find yourself exiting in the middle or the outside of the trail. The really tight ones require an element of finesse and timing when referring to power application but that can be figured out through practice. Fundamentals – If you can’t ride something on flat ground, chances are that you won’t be able to ride it when going up a steep climb. This is when simulating obstacles found on the trail can be very helpful. Practice riding rock gardens, through roots, even cornering on loose terrain like a gravel parking lot. To practice making those tight switchbacks, you can set up some cones or even an old par of tennis shoes and do figure 8’s. The closer you move the shoes together the tighter the figure 8’s will be. Another big thing is finesse. Sometimes you have to hop up onto a rock or over a log on the trail. Getting the timing right can be tricky but easily practiced by trying to ride over a random boulder or even a curb. This drill would be incorporate rolling up to a curb slowly, lifting the front wheel up, getting half a pedal stroke in and hopping up to gently allow the rear wheel to roll over the curb. Not smacking the wheel into the curb, or lifting the rear wheel so hard that you just smack it down on the top. As your skills develop, you can find larger obstacles to practice this motion on. Recovery – On really tricky climbs, while pace is not reflective of it, your body is operating at subLT or higher. At this intensity, heart rate is elevated, lactic acid starts to build up, and oxygen deprivation can cause silly mistakes to be made. 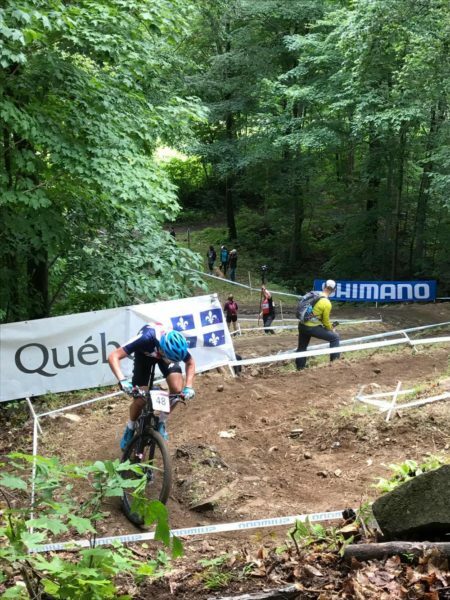 It is very rare that you find technical climbs that are 20% grade the whole time so it could be helpful to get a little recovery in before an obstacle. If you have some good momentum going, and an obstacle coming up, it is very helpful to very briefly, reduce your power output and take a deep breath to collect yourself before giving full gas into the next obstacle. The fraction of the second that you lose missing half a pedal stroke is way worth it if it can prevent you from losing 10 seconds by messing up a section and having to get off and run. If I were to have a power meter on my mountain bike and ride up a crazy climb, my power curve would be anything but uniform. Fitness – At the end of the day, climbing takes a lot of practice, and a lot of fitness. The biggest inhibitor of bike skills is fatigue. You can reduce this fatigue by strengthening your “climbing muscles” (quads, glutes, back, and triceps). This can be done through gym work, riding time, or a combination of both. If the climbs you race on are much steeper than the ones that you train on, you will want to supplement some gym work, otherwise riding should be plenty sufficient. Ride as many climbs as you can to make those muscles as strong as possible. Lean muscle is your best friend when it comes to technical climbing. They allow you to provide repeated explosive power in a predictable and controlled manner which is exactly the type of power transfer needed to overcome obstacles at steep grades. I hope that these tips help you conquer that climb that has been staring you in the face all summer long. There is no time like the fall to practice technical climbing. Racing is pretty much over and training is being reduced so it is no big deal to stop and retry sections of trail until you get them.